If you’re looking to Bike Wallkill Rail Trail then stay at Serene Vista Spa Bed and Breakfast. We make your weekend vacation easy and fun. Instead of lugging your bike up just rent one of our mountain bicycles to tool around the neighborhood. Think of it… wake up have a massage or body wrap before breakfast, Then rent one of our mountain bicycles to Bike Wallkill Rail Trail, which is less that a mile away. take a bike out and see the beauty of our country environs and then come back for a romantic Meal for Two or spa Treatment. Serene Vista Spa Bed and Breakfast is in a big biking area with several different options and difficulties. There are popular rides right from our property. Or easy flat rides when you bike Wallkill Rail Trail, which now stretches from Wallkill, through New Paltz, and Rosendale to Kingston. Other more moderate and challenging rides are in the local parks and preserves, such as Minnewaska State Park, The Shawangunk Ridge (also known as The Gunks) All are known for their trails. However some of the most scenic bike rides are right in our neighborhood. 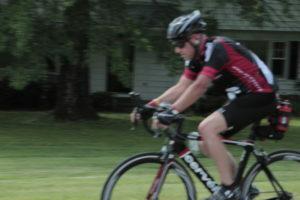 Bed and breakfast Hudson Valley bicycle rentals help you enjoy our Hudson Valley area with ease.